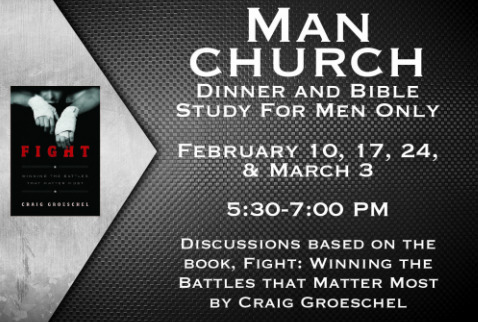 MAN CHURCH: A dinner and bible study series for men only will begin on February 10th and will go through March 3rd. This four week series will meet from 5:30-7:00pm on Sunday nights in the CLC. 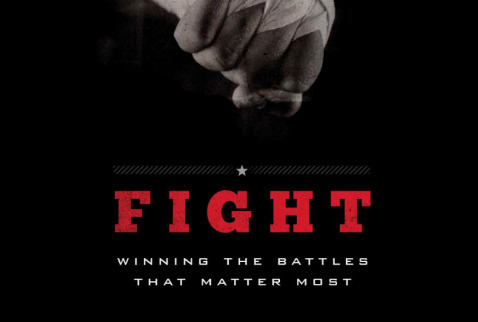 There will be guest speakers each night and discussions based on the book, Fight: Winning the Battles that Matter Most, by Craig Groeschel. Sign up today! Please help us offest the cost of the meal with a suggested donation of $5 per person each week. For more info contact Ryan Tyler.